See below for tariff. The calendar gives an indication but please contact us to confirm availability for your choice of dates. 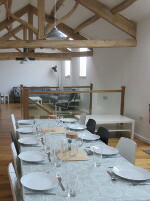 There are several different sized rooms, including a couple of twin rooms, so we can accommodate individuals, couples and small groups as well as larger groups of up to 20 booking the whole barn for sole use. 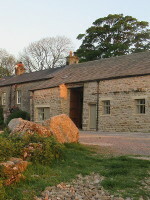 For weekends we just take advanced bookings for sole use, though we will take bookings from small groups and individuals if the barn is free close to the time. We often have availability mid-week and are happy to take small groups and single night bookings Sunday - Thursday and by arrangement we may be able to pick up from Ribblehead Station. 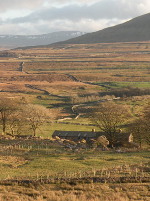 If you are walking the Dales High Way or Pennine Journey we are an ideal stop over. (We can provide supplies for a simple DIY breakfast by arrangement for a small extra charge.) 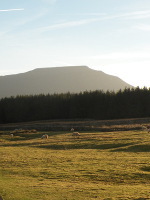 Or why not consider a short walking / mountain biking break. There is plenty of scope to set off from the door. 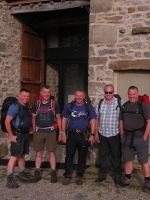 How about staying at Broadrake to do the Three Peaks over two or three days if you don't fancy the lot in one go? 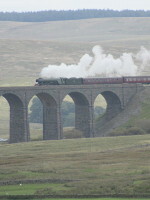 There are several options available and you can even factor in a short train ride on the famous Settle - Carlise line. This calendar is a guide only - check to confirm availability. Special rates apply over Christmas & New Year. Please contact us for details. Prices include bottom sheet, pillow and pillowcase. Hire duvet & towel for £5 per person per stay or bring your own sleeping bag / duvet etc. 25% deposit is payable at the time of booking with the balance due 6 weeks before your stay. All payments are non-refundable so we recommend you take out adequate travel insurance in case of cancellation.